HOUSTON -- When Leah Still's cancer entered remission, her attention turned to unfinished business - both for her and her dad. For Leah, 6, that meant resuming the bicycle-riding lessons she initially started just before being diagnosed with stage 4 Neuroblastoma. The first post-remission session took place in Philadelphia, and it was challenging, even with training wheels. But Leah pushed through until she conquered it just as she conquered the disease that threatened her life two years ago. 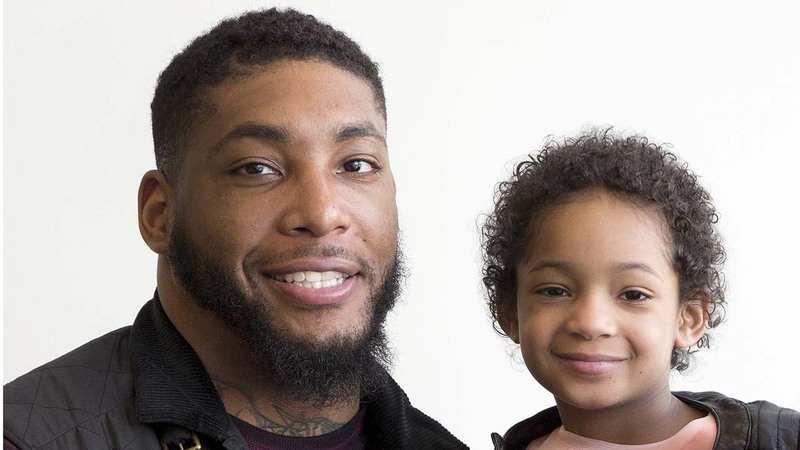 VIDEO: Texans' Devon Still to those fighting cancer - "Never give up"
Devon Still shares his inspirational story at the National Cancer Survivors Day Luncheon. For her dad, Texans defensive end Devon Still, that meant football. It meant proving he could still play the game he put on hold so he could help nurse his daughter back to health. "She's very excited I'm back here on the football field," Still said. "I want to dedicate this season to my daughter, and just go out here and play the type of football I know I can play." The Texans are giving him that chance. Between Leah's diagnosis in June of 2014, and her last treatment in January of 2016, Still's mind hadn't really been with the game. He was a free agent throughout the 2015 season - completely out of football and training by himself. After that the Texans signed him to a futures contract. Now he's competing to be the team's starting defensive end opposite J.J. Watt. Devon Still, whose daughter battled cancer, visited children at Texas Children's Hospital Friday. 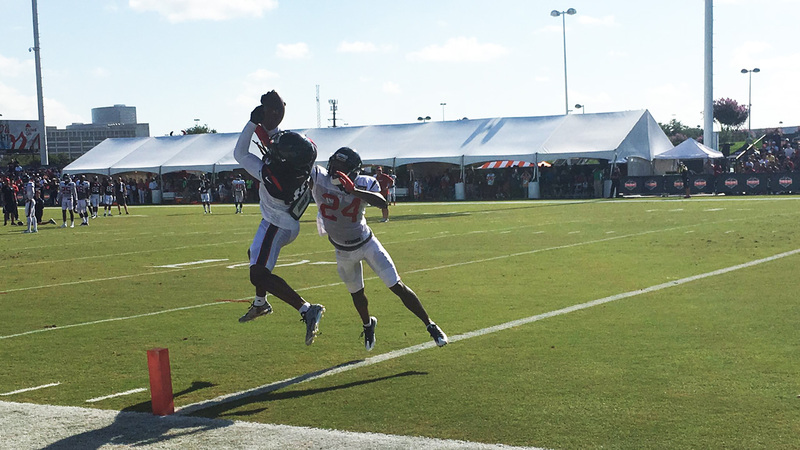 "Devon's had a good couple of days here," Texans coach Bill O'Brien said. "He works very hard. Typical Penn State guy. Good football player, tough guy. Glad we have him." Still graduated from Penn State in 2011, the year before O'Brien's first of two years as the Nittany Lions' head coach. The Cincinnati Bengals drafted Still in the second round of the 2012 draft, but released him before the 2014 season, but didn't leave Still completely on his own. To ensure medical insurance through Leah's treatments, they signed Still to the practice squad. In Week 2, Still was promoted to the team's active roster. His story and his daughter's fight for her life inspired many. The Bengals began selling his jersey and raised more than $1 million for pediatric cancer research. A year later the Bengals were ready to focus solely on football. They released Still, who still retained his insurance according to the terms of the NFL's collective bargaining agreement. 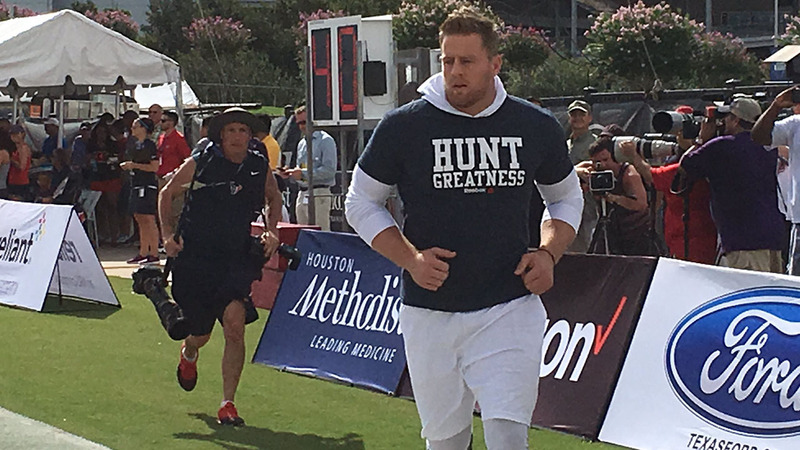 After an unexpected closed practice Wednesday, fans are back at Houston Texans' training camp today. The Texans defensive end delighted two fans after the birth of their third child at Memorial Hermann. "It was hard, but I had bigger problems that I had to solve off the field with my daughter still battling cancer," Still said. Leah had her final treatment on Jan. 8, the same week the Texans signed her dad to a futures contract. The contract, though executed in January, became effective when the league year began on March 9. "When he did play he was productive and he did his job well," O'Brien said. "High character guy, obviously. Big guy, strong at the point of attack ... we feel like we've got something we can really work with there." Last season, Jared Crick started opposite Watt on the Texans' defensive line, with nose tackle Vince Wilfork between them. Crick became a free agent after the season and signed with the Denver Broncos. Now Still is competing with Christian Covington, who the Texans drafted in the sixth round in 2015, and Brandon Dunn, whom the Texans signed off the Bears practice squad during the 2015 season. "Instincts," Wilfork said, when asked what he notices about Still. "He's got great instincts for being a defensive lineman. Being away from the game as long as he's been, it's very exciting to see a guy like that work the way he does." The person he wants to impress the most, though, might also be his biggest fan, Leah. "To be able to come out here and play and not have the world on your shoulders, it's easy to come out and play football," Still said. His normal life has resumed just like his daughter's has.